NEW & EXCLUSIVE to Gardening Express! 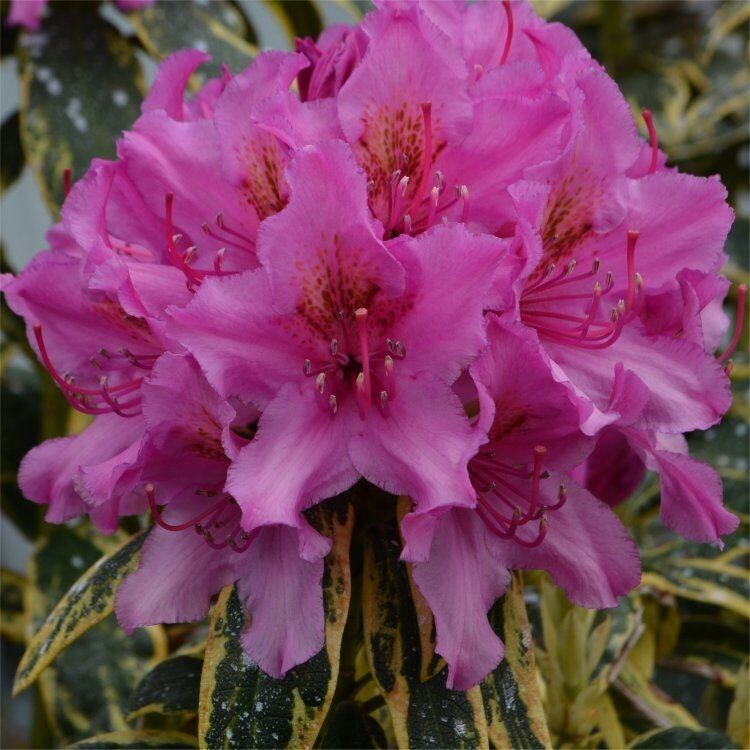 There are very few variegated Rhododendrons with being the first with a bright golden-yellow leaf margin. Already an award winner in the Netherlands, receiving a silver medal from the Royal Boskoop Horticultural Society, only missing out on a gold as some thought it to be almost too colourful! 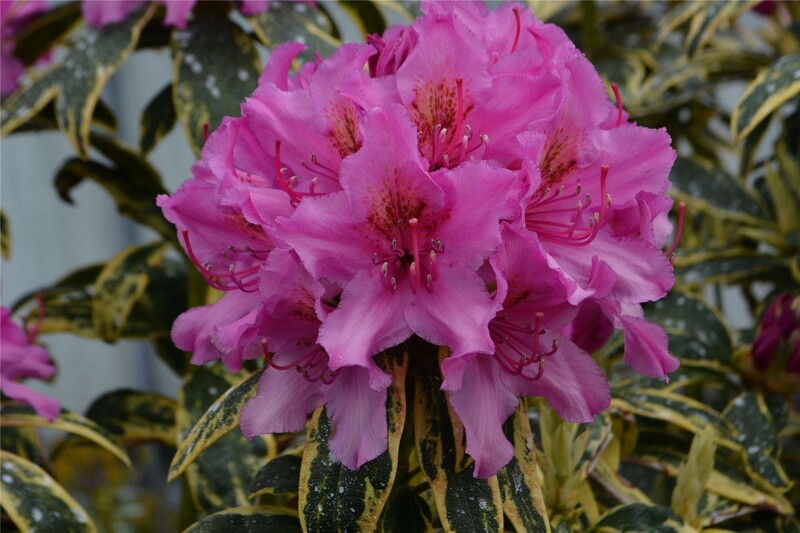 'Golden Green Gift' was first selected as a sport of the popular Rhododendron variety 'Madame Masson'. 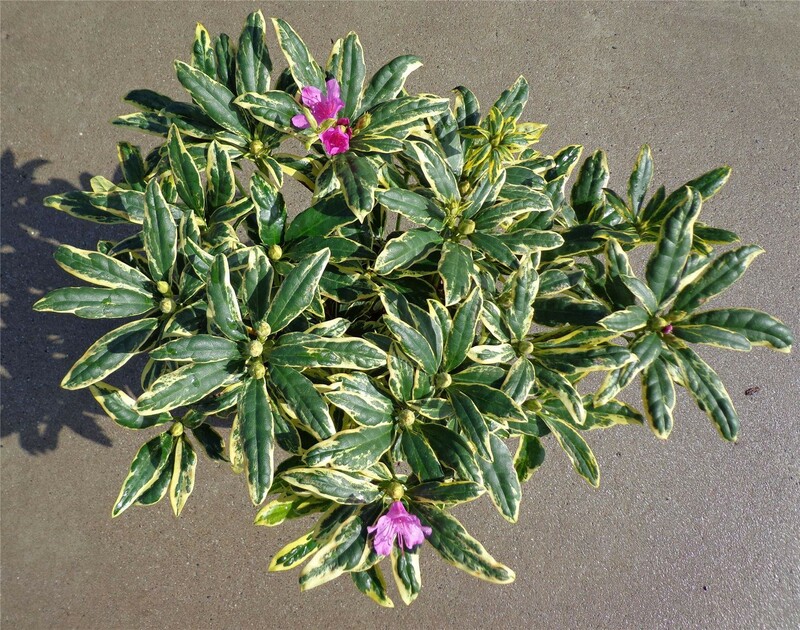 With beautiful, healthy, yellow variegated glossy green leaf, an upright growing habit and masses of pink-purple flowers in the spring - very bright and colourful, it is extremely eye catching and easy to grow too. 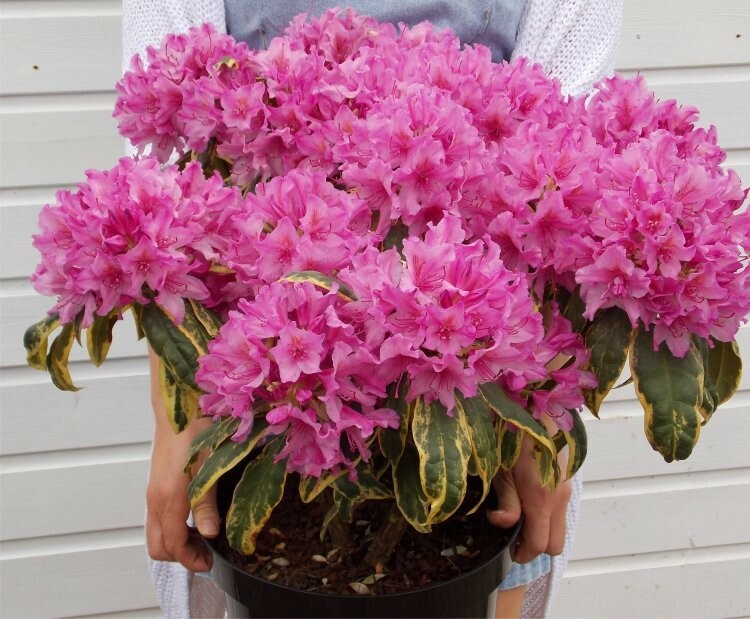 Stock is very limited on this fantastic new plant with just a few hundred plants available for the whole of Europe, Gardening Express scoped them all for some very lucky UK gardeners - this truly is a World Exclusive, only available through Gardening Express! 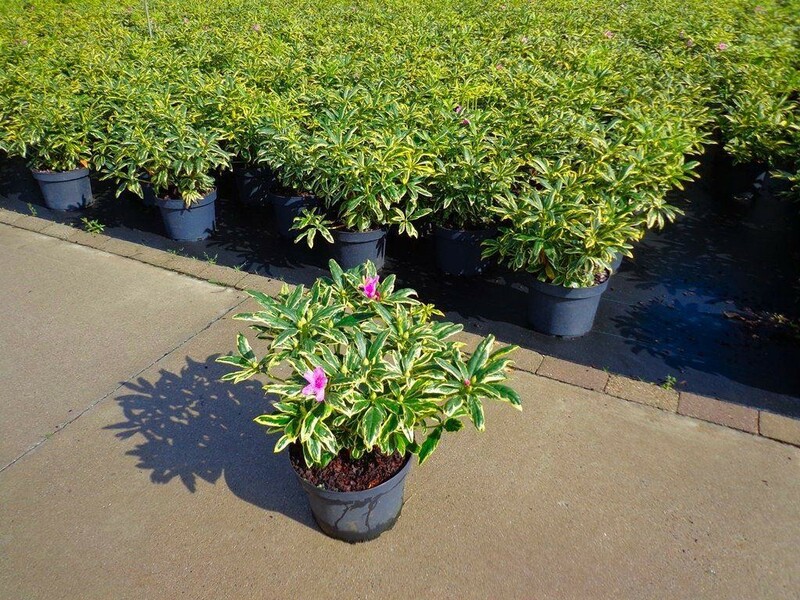 Supplied in the finest quality, covered in masses of buds and flowers in season as larger sized plants in approx 10 litre containers. 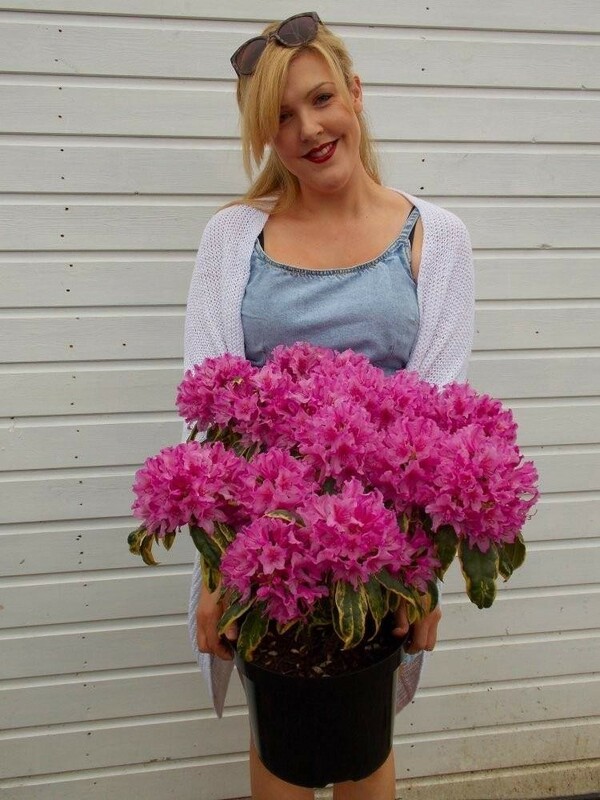 Please see the size and quality of the plants delivered in the picture with Charlotte taken 26th May 2016, you are buying the same plants in this listing so can expect a similar result this season, and every season thereafter.